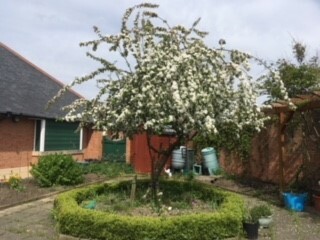 The beautiful crab apple tree planted in memory of our herbalist Isobel Reid looks magnificent in its spring blossom. 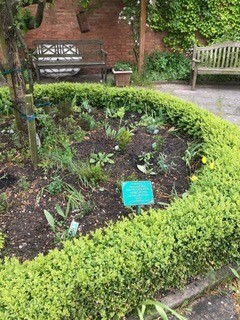 Every Thursday, The Gardening Class has been planting lots of new herbs under the tree to create a new herb patch using both healing herbs and herbs used in cooking. When next at WHiST, why not go out into the garden to see them grow and develop.